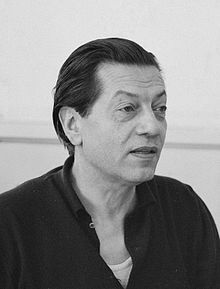 Serge LIFAR (ukraine Сергій Михайлович Лифар, Serhij Miĥajloviĉ Lifar) (Kievo, 2a de aprilo 1905 - Laŭzano, 15a de decembro 1986) estis dancisto, koregrafo kaj direktoro de kompanio, rusa kun franca ŝtataneco. Li estis, en la 1920-aj jaroj, dancisto kaj poste unua dancisto en la Rusaj Baletoj de Sergej Djagilev kaj unua dancisto kaj direktoro de la Baleto de la Opero de Parizo dum preskaŭ tri jardekoj. Lifar estas konsiderata kiel plinoviganto kaj moderniganto de la franca baleto kaj lia influo sur ĉiuj aspektoj de la franca danco en la dua duono de la 20a jarcento estas certa. Sub lia hegemonio aperis ne nur steluloj de la Baleto de la Opero kiel Yvette Chauviré, Lycette Darsonoval, Michel Renault, Solange Schwarz, Liane Daydé, sed ankaŭ reprezentantoj de pli juna generacio kiel Roland Petit, Janine Charrat, Nina Viroubova kaj aliaj. Kiel fakulo pri danco kaj kronikisto de sia tempo li lasis interesajn tekstojn kiuj havigas ĉiam tre interesajn personajn informojn pri la danco de tiu epoko. Mark FRANKO, “Serge Lifar and the Question of Collaboration with the German Authorities under the Occupation of Paris (1940-1949),” in Dance Research 35/2 (Winter 2017): 218-257. Mark FRANKO, «Serge Lifar et la question de la collaboration avec les autorités allemandes sous l’Occupation (1940-1949),» Vingtième siècle. Revue d'histoire, n°132 (Oct-Déc 2016): 27-41. 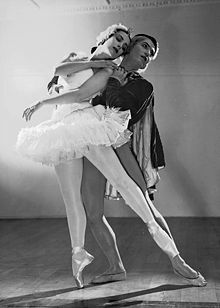 Jean LAURENT & Julie SAZANOVA, Serge Lifar, rénovateur du ballet français, Paris, Buchet-Chastel, 1960. The Diaghilev-Lifar Library, katalogo, Sotheby's, Monte-Carlo, 1975. Alexander SCHOUVALOFF, The Art of Ballets Russes: The Serge Lifar Collection of Theater Designs, Costumes, and Paintings at the Wadsworth Atheneum, Yale University, 1998. Roger LEONG (eld. ), From Russia With Love: Costumes for the Ballets Russes 1909–1933, Australian Publishers, 2000, ISBN 0-642-54116-7, ISBN 978-0-642-54116-1. Laurence BENAÏM, Marie Laure de Noailles, la vicomtesse du bizarre, Paris, Grasset, 2001, ISBN 2-253-15430-X. Robert ALDRICH & Garry WOTHERSPOON, Who’s Who in Gay and Lesbian History from Antiquity to World War II, Routledge, London, 2002, ISBN 0-415-15983-0. Stéphanie CORCY, La vie culturelle sous l'Occupation, Paris, Perrin, 2005. Florence POUDRU, Serge Lifar: La danse pour patrie, Hermann, 2007, ISBN 978-2-7056-6637-8. Frederic SPOTTS, The Shameful Peace: How French Artists and Intellectuals Survived the Nazi Occupation, Yale University Press, New York, 2008. Jean-Pierre PASTORI, Serge Lifar, la beauté du diable, ed. Fame Sa, 2009, ISBN 2-8289-1127-6. .
Sjeng SCHEIJEN, Sergej Diaghilev, een leven voor de kunst. Amsterdam, Bert Bakker, 2009, ISBN 90-351-3624-1. Alan RIDING, And the Show Went On: Cultural Life in Nazi-occupied Paris, 2010. Ĉi tiu paĝo estis lastafoje redaktita je 06:33, 3 mar. 2019.